Sound Code Music presents a brand new 2018 giant combination hit from one of the cross over dancehall artistes in Zambia. 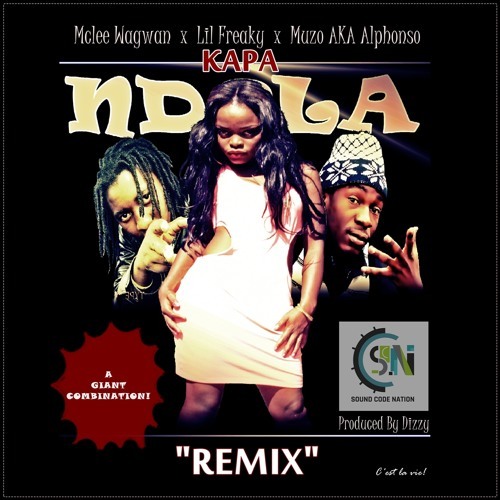 Mclee Wagwan has now become a force to reckon with in the African music scene, and today he returns with a hopeful hit on his hands, calling upon the star power of Lil Freaky and Muzo AKA Alphonso for the dancehall record, something we can all vibe to “KAPA NDOLA REMIX” will definitely get spins from DJs, this has come to thrill his fans teaming up with the Multi-Talented Hip-Hop female rapper and the Multi-Award Winning Bemba rapper to deliver this powerful tune, produced by Dizzy. ENJOY! !